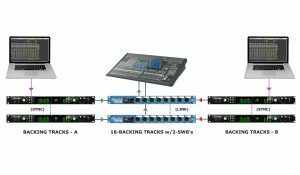 The Radial SW8™ is an 8-channel auto-switcher that allows you to set up a redundant backup system by automatically switching between two multi-channel playback systems. Designed primarily for live concerts and stage shows where backing tracks are used for orchestration, vocals and sound effects, SW8 employs an adjustable gate to detect a machine malfunction and automatically switch to a second backup machine to deliver a seamless performance. 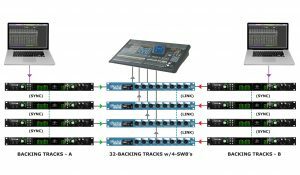 The SW8 will monitor any continuous audio signal such as SMPTE on the main playback system, and should the signal drop it will automatically switch to the backup. 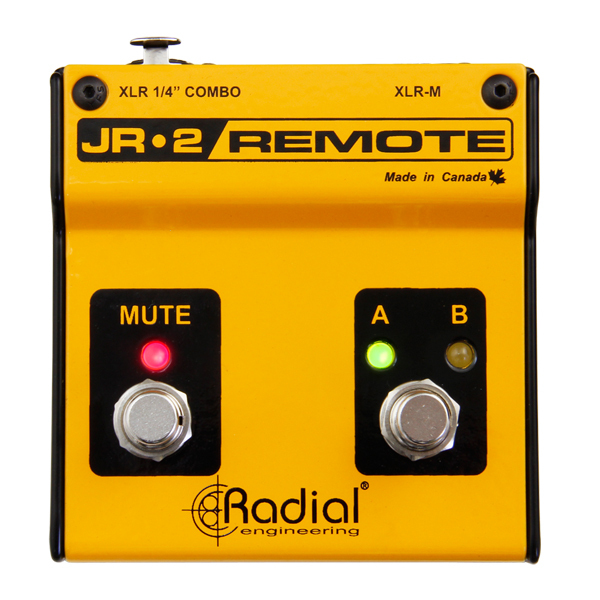 Switching can also be performed manually on the front panel, or by using a footswitch such as the Radial JR2. 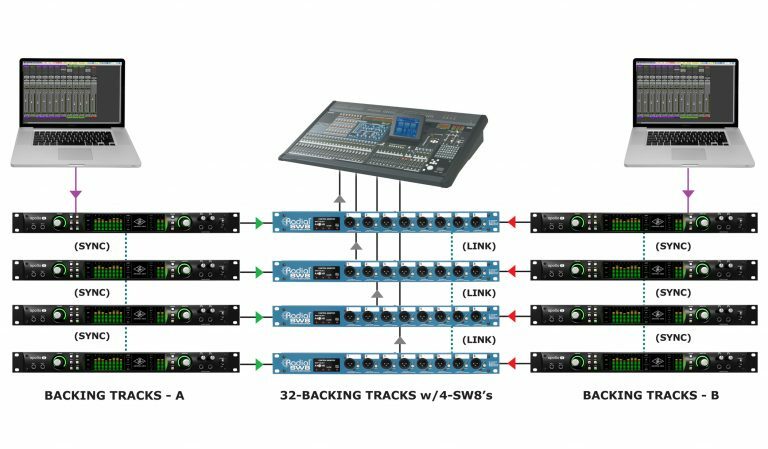 For larger systems beyond 8 channels, multiple SW8s may be linked together. This is setup is most commonly employed in the club scene and for fly-in promotional TV and video tours. In these scenarios, everything is mixed to a single stereo or even a mono output to feed the PA system and broadcaster. Some bands have done this with great success but this takes a lot of hard work to get the balance just right. Here, 16 backing tracks are mixed down into stereo subgroups. 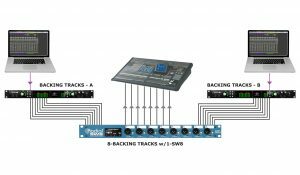 This is the most common form of backing tracks as the musicians are doing all of the main work and the playback machines are adding icing to the cake. In these systems, you'll see extra left and right drums, percussion & beats, keyboards and orchestration, guitars & backing vocals and often all of the vocal effects. 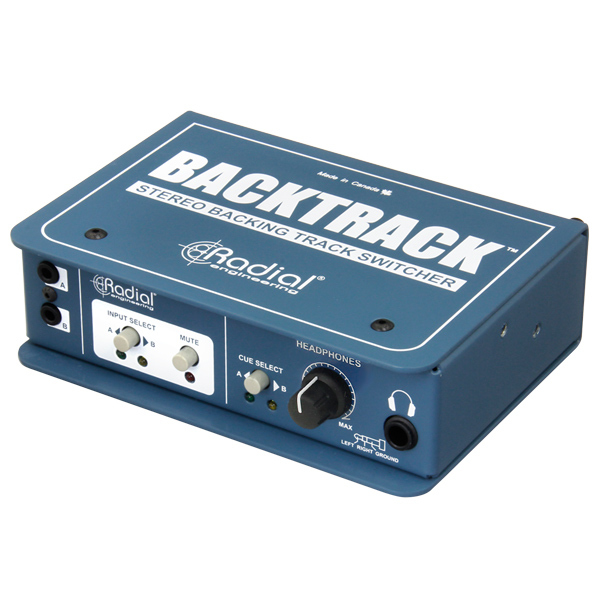 Everything is on backing tracks: drums, electronic beats, instruments, backing vocals, vocal effects and in some cases, even lead vocals. Here we are talking about the various pop bands that incorporate huge, over-the-top production. Every track is broken out to individual channels so the monitor engineer can send different players different mixes & the front of house mixer has total control. 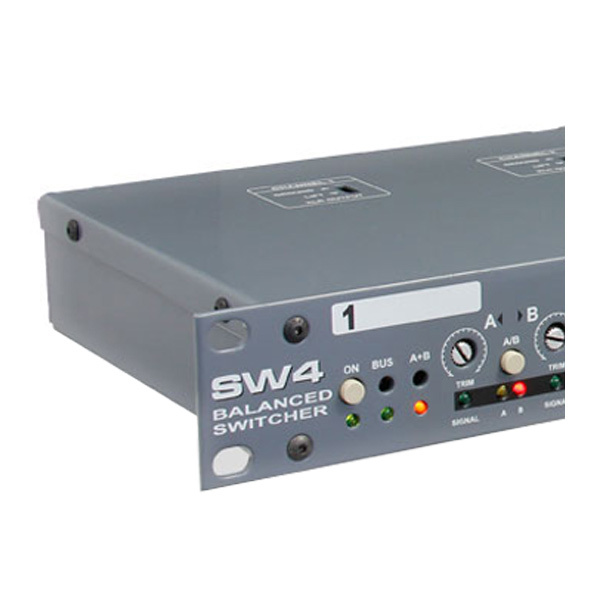 The Radial SW4 is a four channel balanced audio switcher designed for wireless systems, mixing consoles and digital guitar processors to provide backup or greater operational flexibility in a live performance or concert setting. 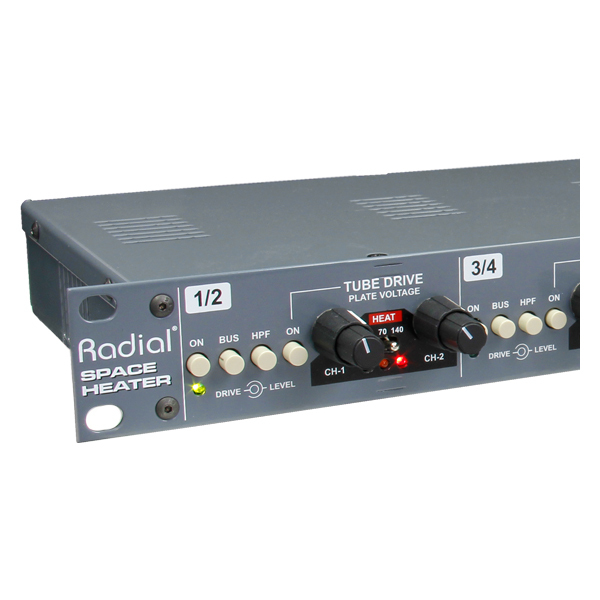 The Radial Space Heater is a single space 8-channel tube overdrive that can be used as a stereo summing mixer or as multi-channel studio distortion. 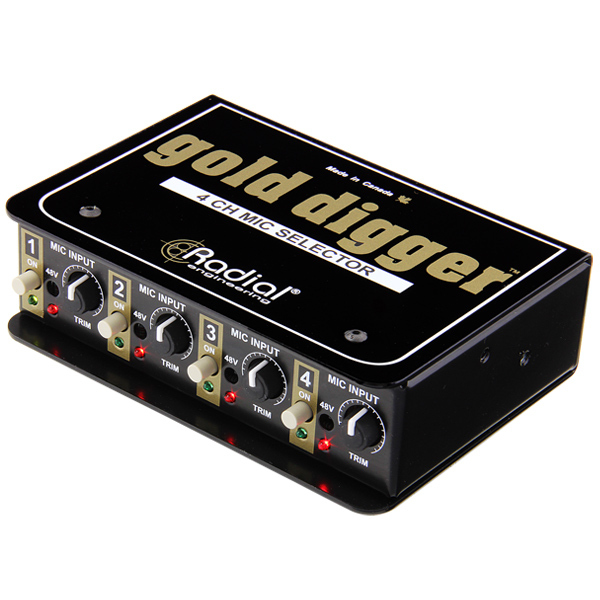 The Gold Digger is a 4-channel mic selector that enables the engineer to quickly compare the sound of four different microphones while sharing the same preamp.